People often make fun of Nordic walkers who apparently just stroll around with sticks in their hands. 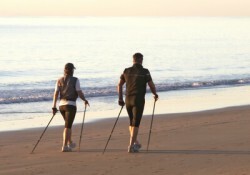 People who do not do Nordic walking often question the training effect of Nordic walking. However, Prof. Dr. Bettina Schaar’s scientific investigations have proved that Nordic walking should be taken seriously, as it does have positive training effects. 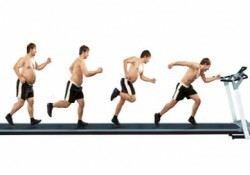 In certain circumstances it should even favoured over running. In their meta-analysis on the most effective ways to lose weight, Schaar, Moos-Thiele and Platen (2010) discovered that a combination of exercise and diet shows the best results.